Idea4Africa has been working with educators, high school students and young entrepreneurs through a variety of programs. Last week we ran a teacher training program, a one-day training program targeting high school entrepreneurship teachers working with schools within the Idea4Africa network. 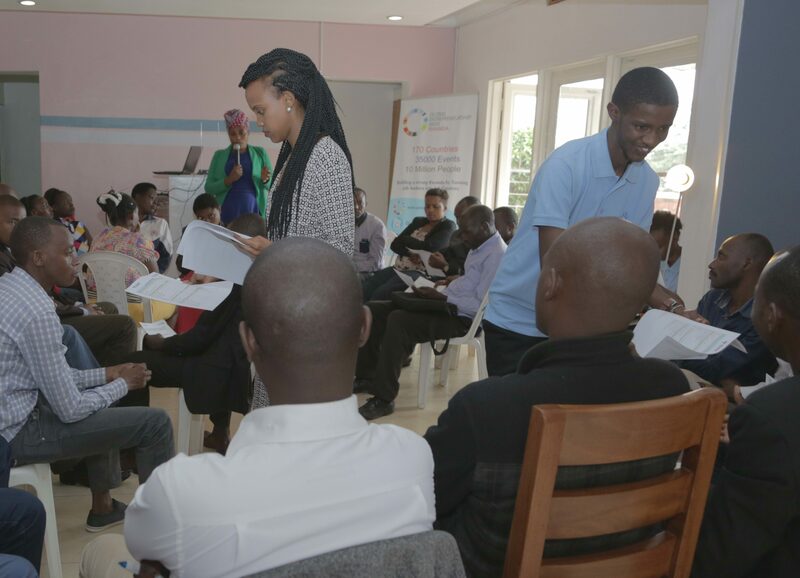 Educators are taken through an array of activities that include both practical and theoretical exercises arming them with the skills needed to inspire a new generation of young entrepreneurs in Rwanda. The workshops consist of lectures and hands on practical entrepreneurial activities that can be replicated in schools. Trainees are given an opportunity to share their successes, experiences and techniques with each other. “I think this program is of great benefit to both us teachers and students as it helps us learn the best practices of promoting the culture of risk-taking and entrepreneurship to our students,” said Faithful Abaho. Last week’s program concluded with a panel discussion by representatives of Rwanda’s National Youth Council, Akillah institute and Africa Leadership University who encouraged the trainees on the importance of creating more job creators in the society. “Young people should be taught that despite one’s background, entrepreneurship can create a level playing field for all as one can make the most out of the meager resources available to them,” said Stanley Mukasa from Akillah Institute. At the end of the day, participants were given some of the Idea4Africa resources that will enable them to conduct productive and creative sessions with their students such as the teachers training manual and the Rwandan Entrepreneurship Educator’s Network toolkit (REEN).